New release “Metaforma” out on Mahorka records. SIGILLUM S, the Italian deranged explorers of unknown territories among extreme electronics, fringe acoustics and occultist noise, have been developing their own special brand of post-industrial audio investigations since 1985. They are now back with their new album The Irresistible Art Of Space Colonization and Its Mutation Implications, the first one featuring the line-up of Eraldo Bernocchi, Paolo “NG5361” Bandera and Bruno Dorella. 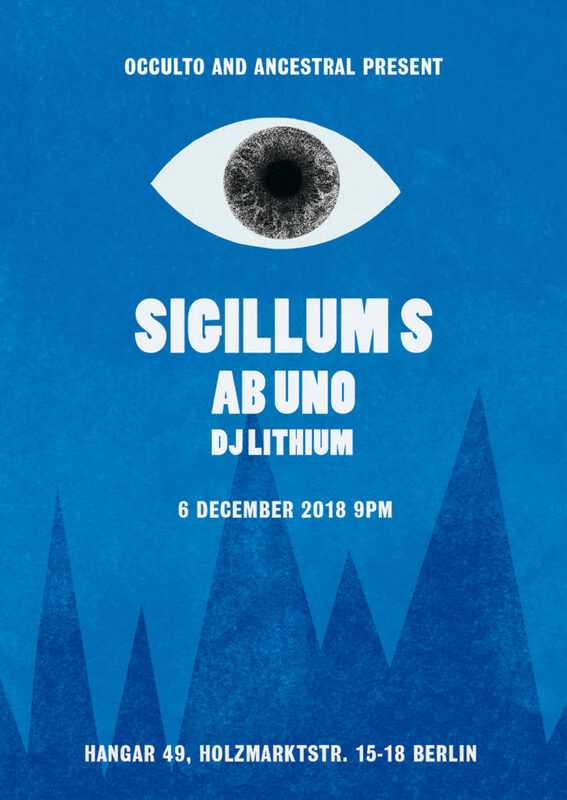 The audiovisual performance in Hangar 49 on December 6th will be the first Sigillum S live in Berlin since 1994, and the first one ever in town featuring the current line-up. Ab uno was born as the musical project of two composers of electronic music, Eugenio Petrarca and Roberto di Ciaccio, in Berlin, 2016. The listener is taken (on a journey) into an immersive space: a ritual experience of ancestral forgeries and exotic atmospheres. The obsessive beat of tribal rhythms and the ever evolving sustained notes are tracing imaginary pathways that fade, intertwine and dissolve with no warning. The new release of Ab Uno “Metaforma” is out on Mahorka records.